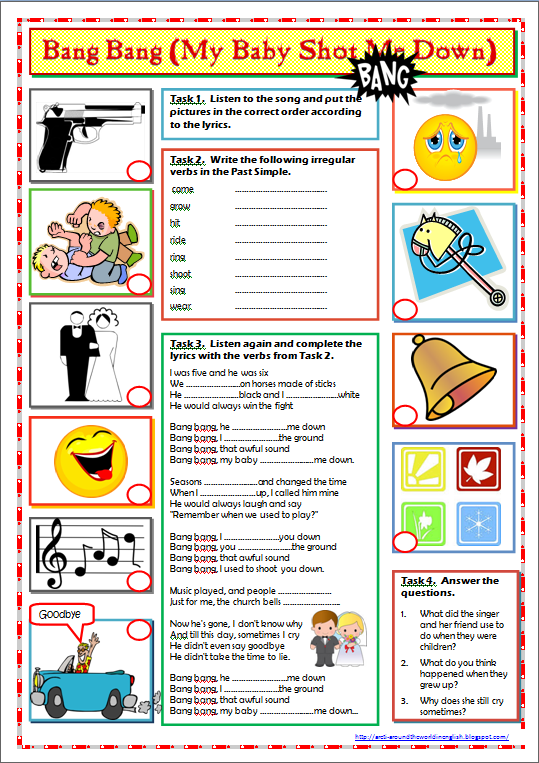 (two versions - three pages) I used this worksheet as a follow up activity after teaching "used to" and "would" for past habits. The students listen to the song once and number the pictures in the correct order. 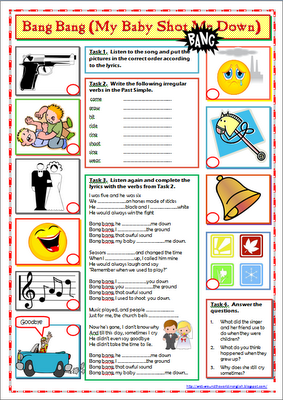 Then they listen again and complete the lyrics with the past simple of the irregular verbs in the song. In the second version they have to sort a number of words into rhyming pairs and then complete the lyrics with these words. I have also included a few comprehension questions.